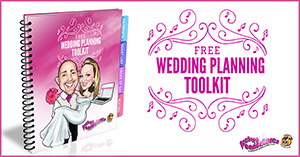 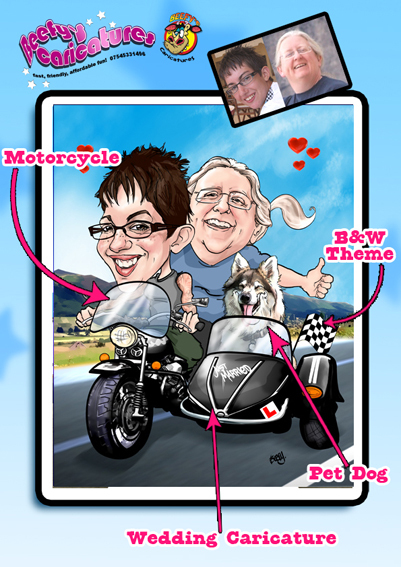 If you are looking for fun, personal Gifts that are a totally unique, then you’ve come to the right place. 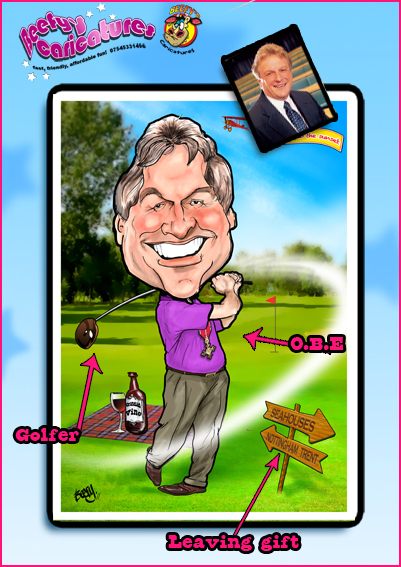 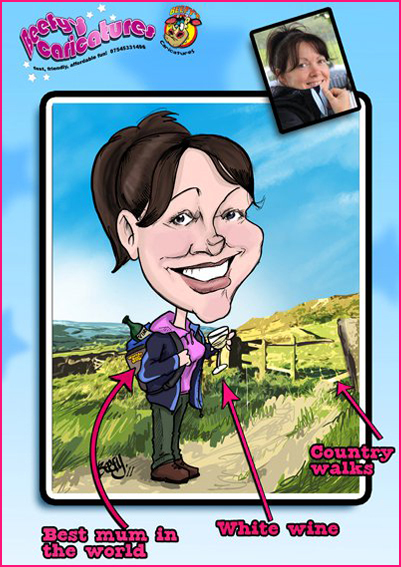 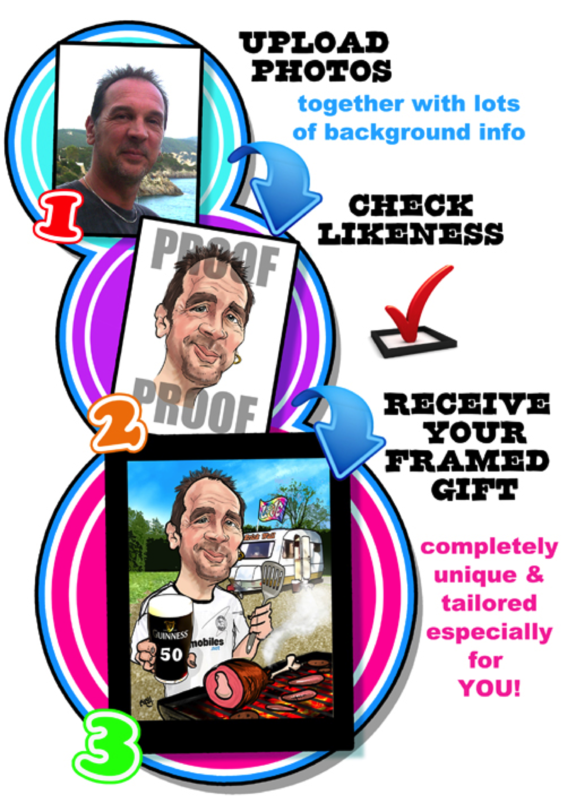 Giving a personalised caricature as a gift to a friend, relative or work colleague, really show’s the thought and consideration you have put in to choosing their gift. 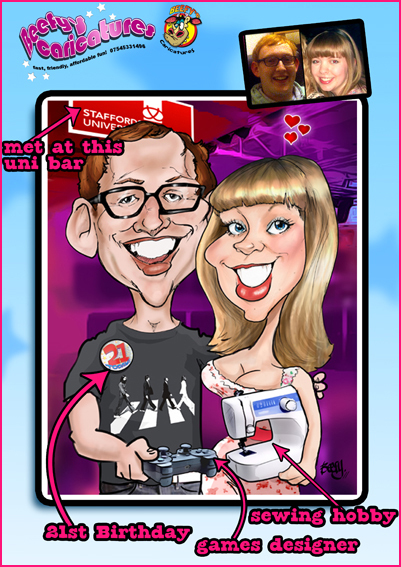 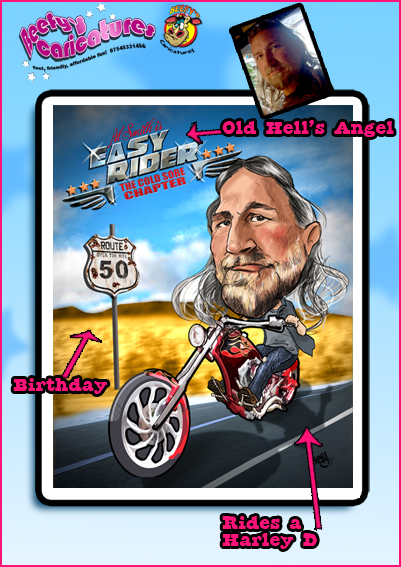 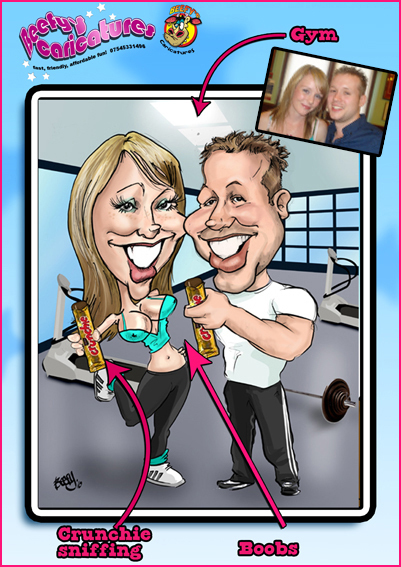 What better way to celebrate a birthday, wedding, anniversary or special occasion than a gift caricature that really shows off their personality, interests, and of course, good looks! 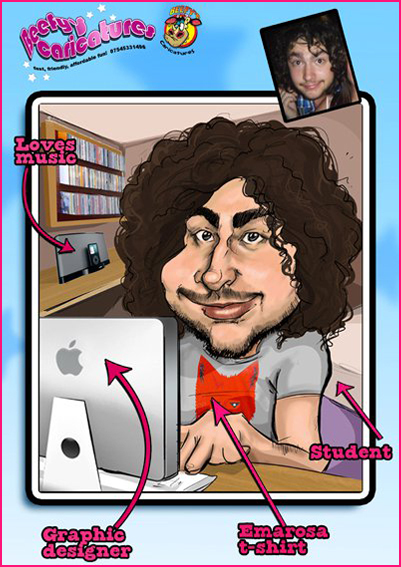 Just supply me with some info on the subject such as hobbies, interests, jobs or special sayings, and send me a few decent, clear photos. 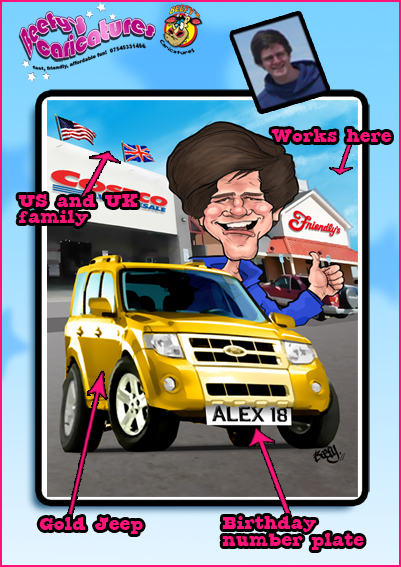 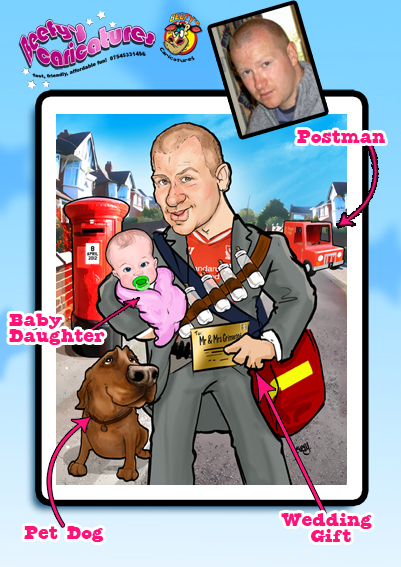 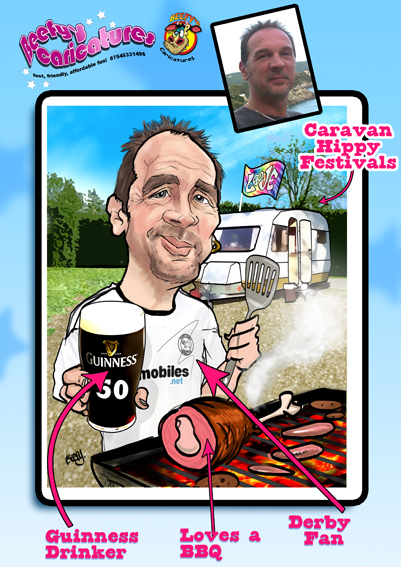 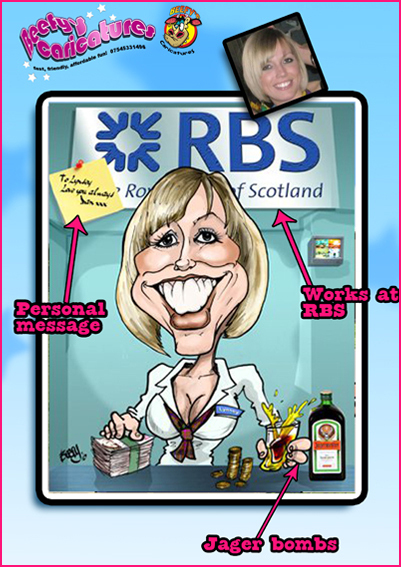 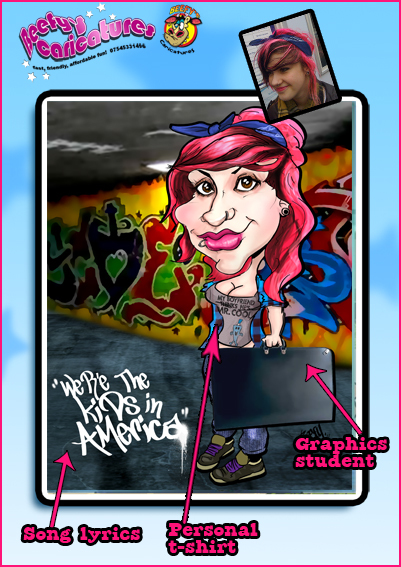 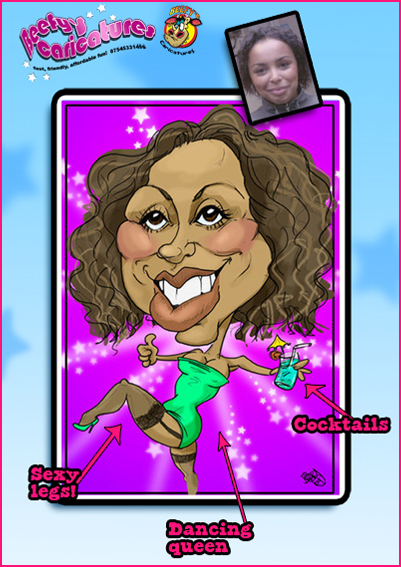 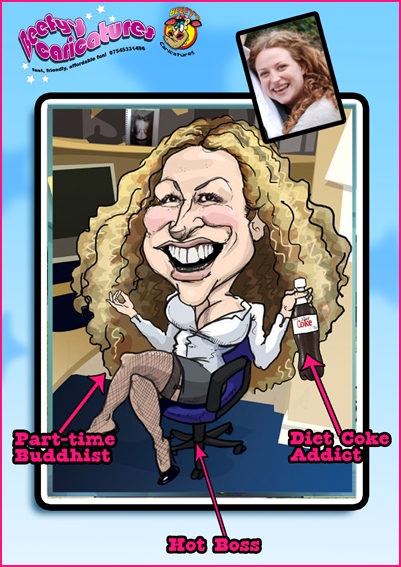 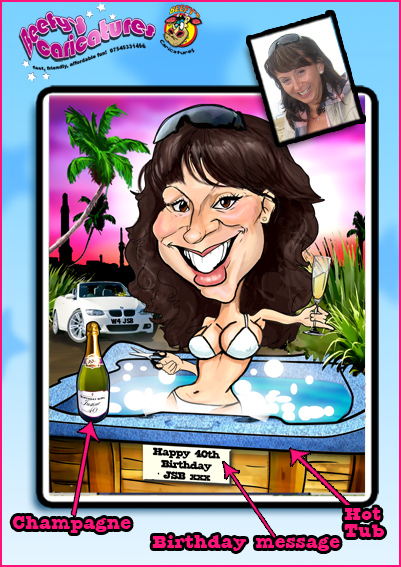 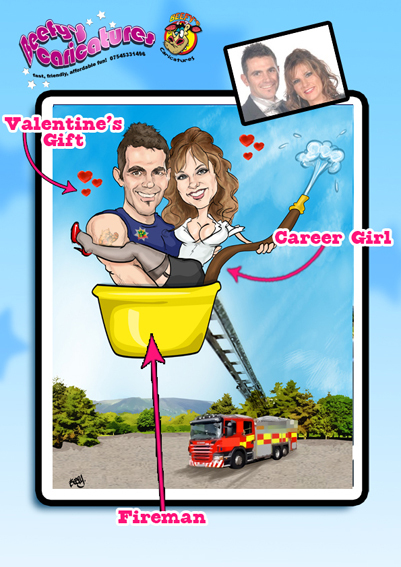 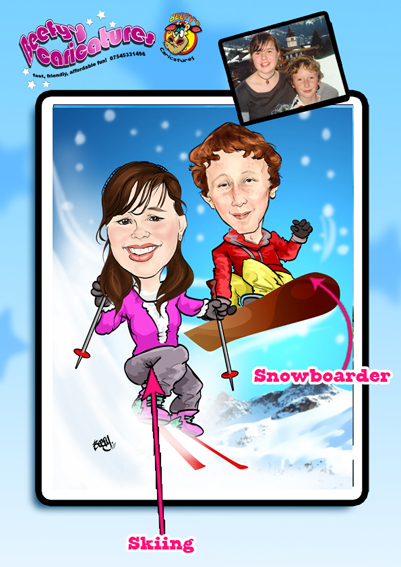 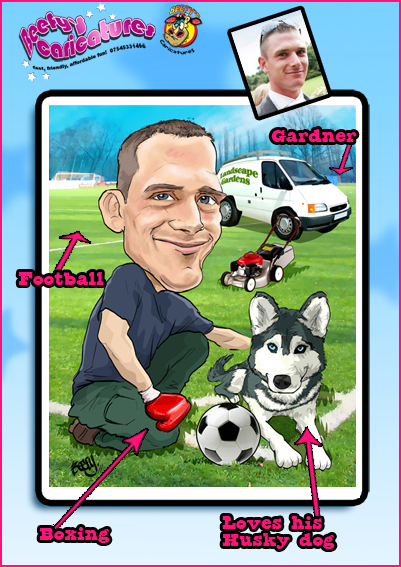 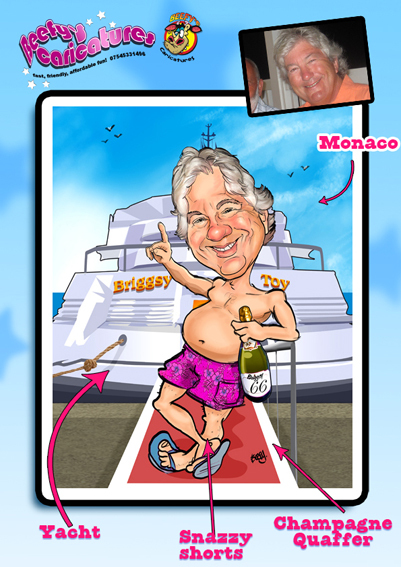 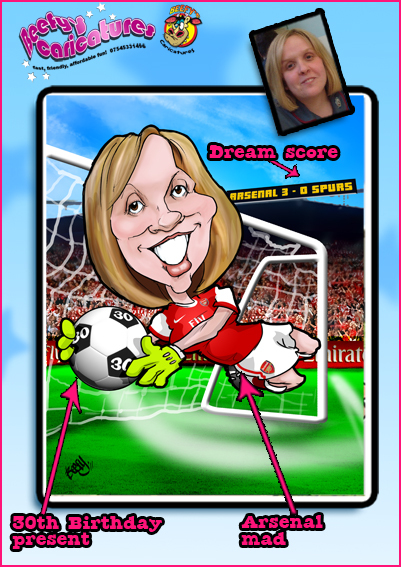 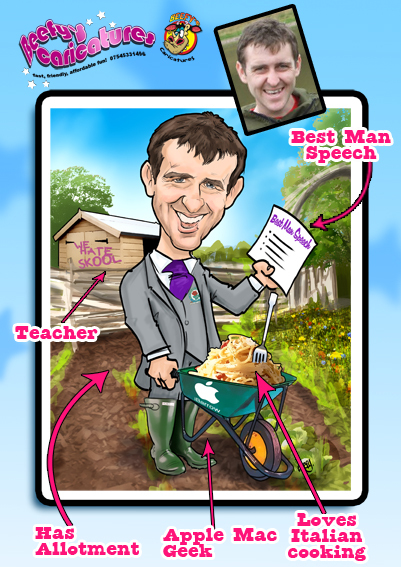 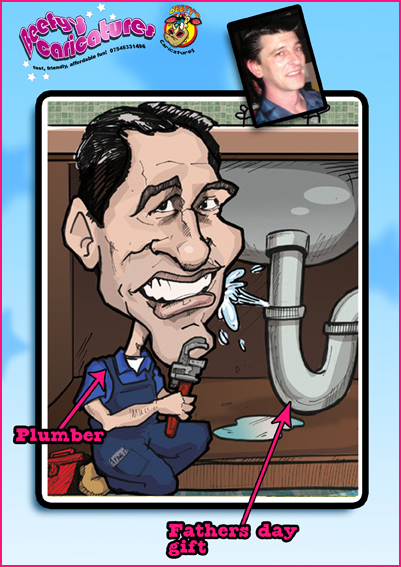 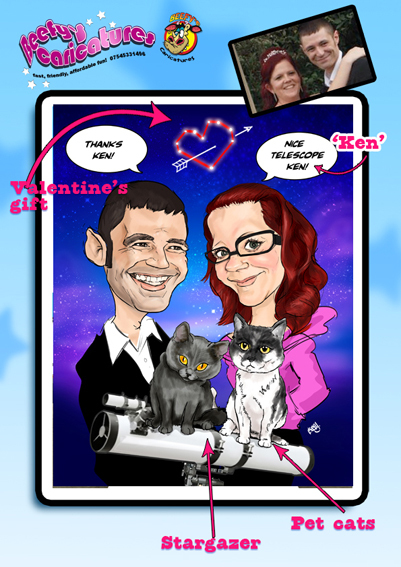 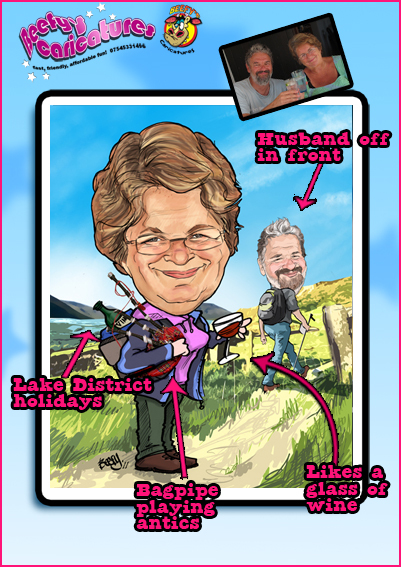 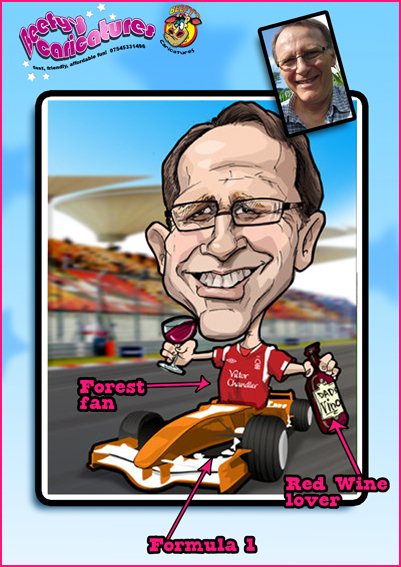 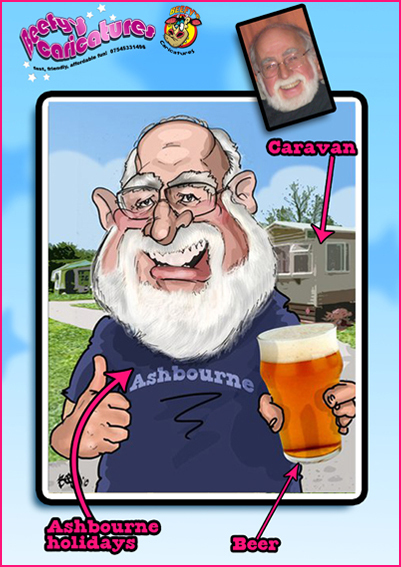 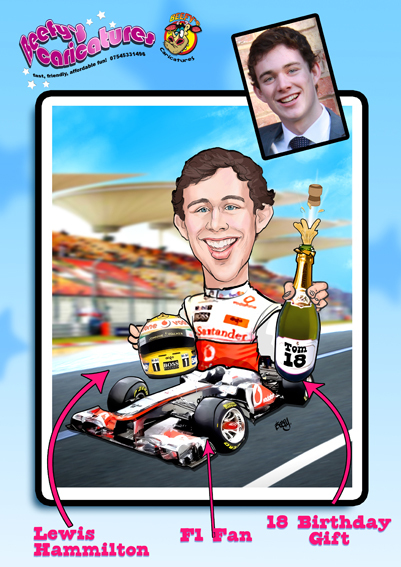 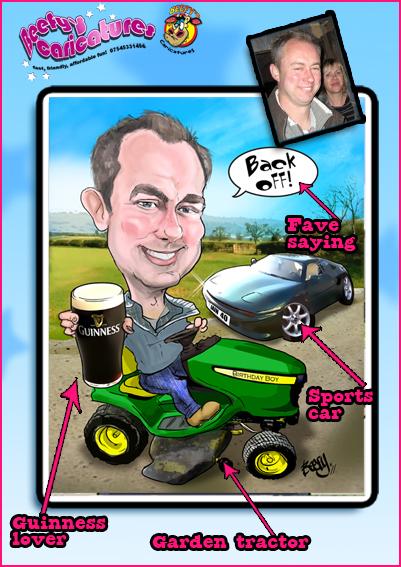 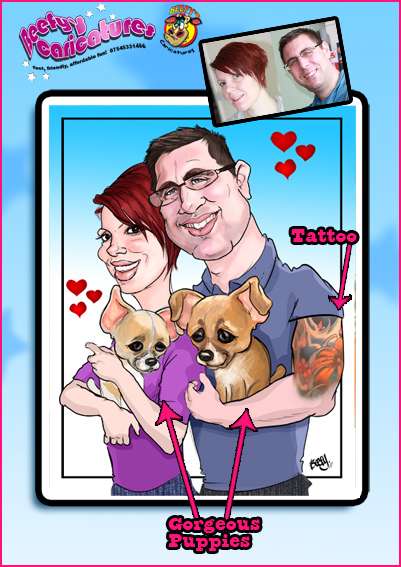 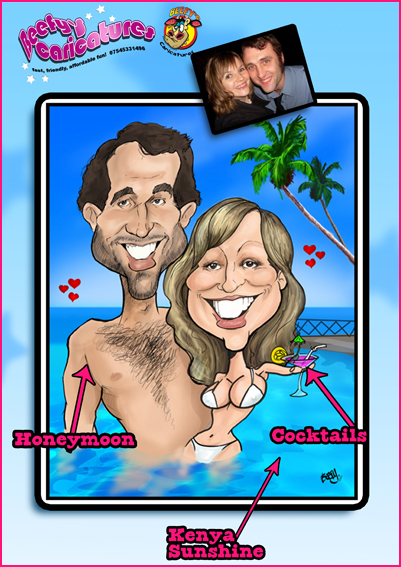 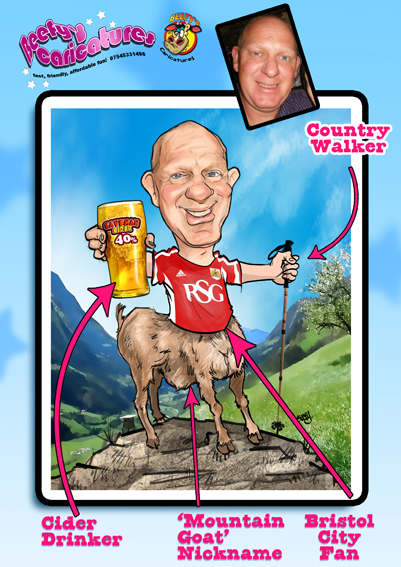 The gift caricatures can be as creative and imaginative as you like -the more information you supply the better. 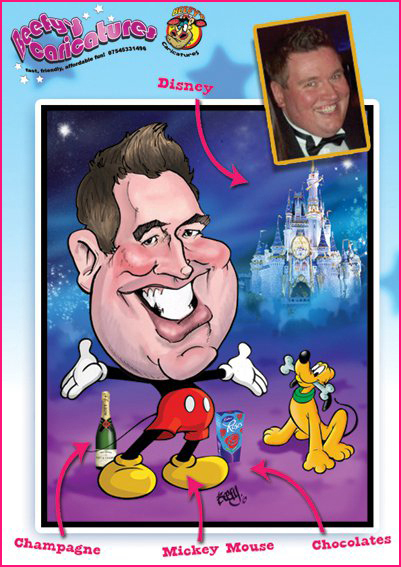 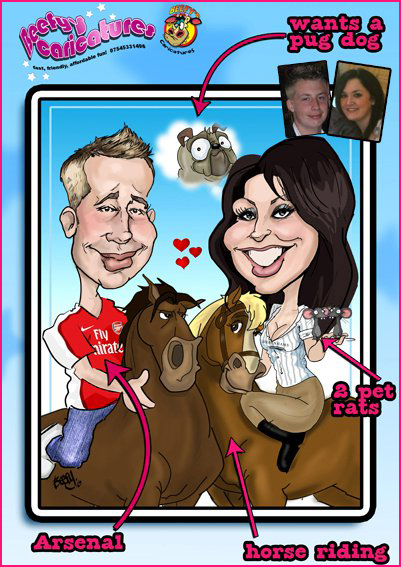 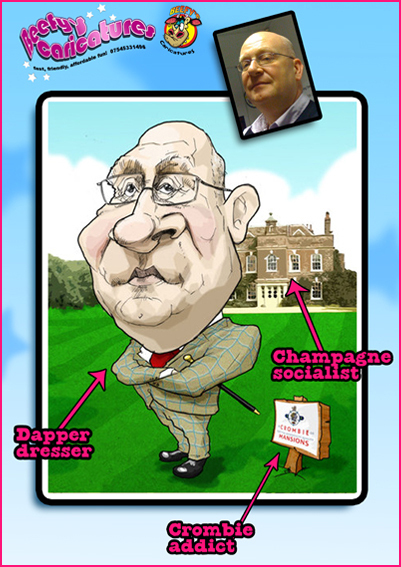 At only £85 for a single framed caricature and £120 for a double framed caricature including postage, you can’t go wrong!